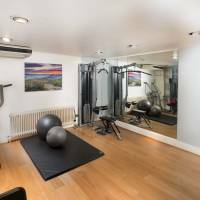 Pete Fraser Fitness clients have the exclusive use of a private and comfortable space in which to enjoy our expert training services. 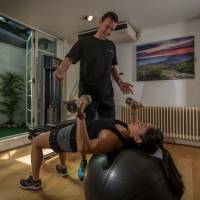 Pete Fraser Fitness puts the ‘PERSONAL’ back into personal training. As well as improving our clients’ health and fitness, we also think it’s important they have fun doing it! There isn’t any waiting around for machines and clients have their own personal work-out space in the Pete Fraser Fitness aerobic room. 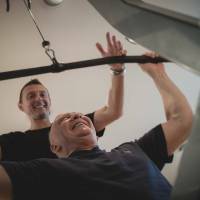 Pete Fraser Fitness clients are able to achieve their health and fitness goals with a tailor-made program in a relaxed, yet professional environment. 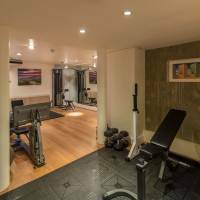 The heavy weights area in our Mayfair gym has all the equipment our clients need for optimum muscular gain. 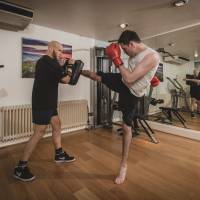 At Pete Fraser Fitness our experience provides many ways for our clients to train and kick-boxing is a great way to improve mobility, balance, strength and co-ordination. 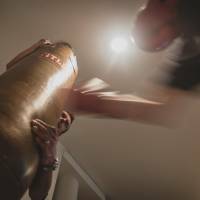 Pete Fraser Fitness personal training in boxing is a fun way to exercise and great for de-stressing at the start or end of a busy day. 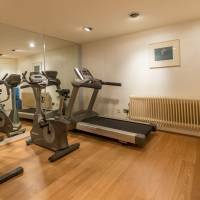 Pete Fraser Fitness clients enjoy the exclusivity and comfort of their own private and personal changing room, complete with towels, Molton Brown toiletries and Hersheson hairdryers.